Since you’re already on this blog, you’re at least starting to cross the bridge over the digital divide. The Digital Divide is the inequality we see when it comes to who has technology and who doesn’t. Whether it is a result of cost, fear, or a belief that it doesn’t make life better, many people still don’t own a computer or don’t know how to use the one they have. If you find yourself on that side of the divide, this handy page will help you. This page is packed with information. Please use the navigation below to jump to the section that interests you. There are so many different types of computers (desktop, laptop, tablet) made by so many different companies (Apple, Dell, Hewlett-Packard) running so many different operating systems (iOS, Red Hat, Windows) that it can be intimidating. Which is best for me? Where do I even start? If you’ve ever asked yourself those question, we’re here to help. So read on! This is one of those times where you’re allow a cheat sheet and Consumer Reports is a tried and true source. The page below has all the information you need to make an educated choice and get the computer that is right for you: http://www.consumerreports.org/cro/computers.html. Since it’s always a good idea to get a second opinion, PC World also gives you a few quick pointers. If you like to be thorough, you can refer to TechSpot for a third opinion. If you want help on specific types, CNet has guides for Desktops, Laptops, and Tablets for you. Now that you’ve done your homework, you’re ready to go out and get yourself a computer. But even knowing what to look for, it’s tough to know where to go to look for it. We’ve got you covered. Apple is known for pushing technology boundaries. While not the first mp3 player, their iPod changed music forever. More recently, their iPad has revolutionized the computer industry by ushering in the tablet computer age. Apple’s computers work similarly to computers running Microsoft Windows, but there are slight differences that can make things tough. The number one being many software applications need special editions to run on an Apple computer. These differences may muddy the waters, but Apple users swear by their brand. If you’re intimidated by talking with certified geeks, then this is the place for you. It’s got nearly as big a selection as a place like Microcenter (see below) but not everyone in a blue shirt can speak like a computer programmer. That’s not to say the sales folk aren’t knowledgeable, they’re just more approachable. It also has the luxury afforded to big chains and the prices are fairly low. You may, indeed, find the best buy here. Discount Offerings: There are always some clearance items that may be worth a look. This is not a superstore like some of the stores on this list. It’s a small local shop. It may not have the variety of the other stores, but it more than makes up for it in service. If you’re looking for a place that is an active member of the community, this is the place for you. One item of note, though, they’re not an Apple shop. So if your homework lead you in that direction, this is not the store for you. Discount Offerings: They offer some refurbished models for sale, see store for details. Whether you want to buy or build your first computer, Microcenter has you covered. It’s got everything and the kitchen sink…well maybe not that, but close. You can buy new computers or refurbished computers. You can buy replacement parts or extra parts. It’s even got software and even snacks! It’s a huge store and can be a little overwhelming, so we don’t recommend neophytes going there without doing their homework. Discount Offerings: There are older models and returned models offered for cheaper. They say imitation is the sincerest form of flattery. If that’s true, then the newly burgeoning Microsoft Stores are flattering Apple. With design and layout eerily reminiscent of the Apple Store, the Microsoft Store doesn’t hide the fact that it’s imitating. That’s not necessarily a bad thing, either. Just as an Apple Store genius can fit you to the perfect Apple product, so too, can the Microsoft folks fit you to a perfect Microsoft product. There are a number of good sources of steeply discounted computers. Some of them are websites, others are brick and mortar businesses. An Internet Service Provider and The State of Massachusetts also get into the game. Some sources are auctions, others are simply discounted due to the computers being previously owned. With such a wide variety, there’s an opportunity for folks from all walks of life. 1. Be located where Comcast offers Internet service. 2. Have at least one child receiving free or reduced price school lunches through the National School Lunch Program. 3. Have not subscribed to Comcast Internet service within the last 90 days. 4. Not have an overdue Comcast bill or unreturned equipment. Arrow Direct is a website that offers refurbished computers for as low as $119. The computers here won’t be the fastest but for those people strapped for cash, it’s a viable option. To see what they have to offer, click here and then click the type of computer you’re interested from the list below the GoodPC logo. The Goodwill also has ventured into the digital world. You can bid on PCs at http://www.shopgoodwill.com/. When this page was being created, there was Dell Laptop going for $43.00. If it’s too cheap, though, it may not have a hard drive and that’s no good. So be sure to read the product description because they’ll tell you if it’s a usable PC or if it’s meant for spare parts. Mass Surplus Property Auctions offer you the opportunity to bid on surplus items from the state. The auctions are not limited to computers, so you may have to hunt around to find a listing for one, but there is usually one or two to be had. Go to the website for more details or call the OSD Auction Hotline at 617-720-3199. You can also refer to the Boston Globe’s classified section under Auctions on the Sunday and Thursday preceding the day of sale . Microsoft Authorized Resellers are out there. These companies have agreements with Microsoft to sell refurbished computers. Just choose “United States” in the Select country… drop down box. Then choose Massachusetts in the County/State drop down box that appears. PCs 4 Vets will give any veteran (or family member of a veteran) a free pc. If desired, they will also provide computer training. Classes include A+, Network Security, and PC refurbishing. To request a PC, go to the web site below. Please note, you’ll have to upload a picture of your DD Form 214 and a photo ID. TechBargins is a website where you can get deals on computers and computer goodies. When you go to the site, point your cursor to the “Computer” section of the blue toolbar at the top of that page, and then click the type of computer you’re interested in. That’ll bring you to a page with all the deals on that type of computer. If you’ve already got a computer, but are having trouble with it, there are a number of different places that you can go for repiars. Remember these guys? Yep, they can not only sell you a PC but will also be able to fix most issues whether you bought the PC from them or not. While Replay’d may seem like a store just for video games and video game console repairs, they actually also repair computers, laptops, tablets, and smartphones. They have a friendly and knowledgeable staff, and offer a 90 day warranty on all repairs and parts. The Tech Center offers repairs on almost any type of electronic device you can think of. They have 4 different locations – Boston, Brookline, Danvers, and Peabody. They even offer a mail in repair service in addition to the traditional drop-off/pick-up service. It doesn’t matter if you are just starting to use a computer or if you have years of experience, training is always a good idea. Technology is constantly changing and training is the great equalizer. Luckily, there is no shortage of training opportunities. Some are free, some cost a bundle. Some are in person classes, some are virtual classes. Below you’ll find a list of each type and what you can expect from them. One of the greatest things about technology training is that you don’t have to devote years of study. You can certainly do so, but you can also take a quick certification class as well. Here’s a list of places you can go to experience this on your own. Since it’s always wise to start at the beginning, let’s begin this virtual training with some computer basics. For that I turn things over to couple of fellow members of the Minuteman Network. The fine folks over at The Cambridge Public Library offer beginner computer training. They have three classes of increasing levels of difficulty. 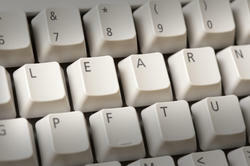 The Intro class assumes no experience and teaches keyboard, mouse, and limited word processing skills. Computer I assumes some experience and teaches word processing, email, and internet skills. Finally, Computer II word processing, Microsoft Excel, and Microsoft PowerPoint skills. No registration required but it is a first come first served basis. The helpful souls over at the Newton Free Library have a slew of offerings. Among their offerings is an Intro to the Personal Computer, a Your iPad and You, and a Social Media class. All of which are geared towards beginners. Registration is required, so if you’re interested please call (617) 796-1380 or speak to a reference librarian next time you’re in the library. The volunteer organization Saheli offers computer literacy classes at the Waltham Public Library. There are twelve classes in a series and the series is offered twice a year. Sign up at the library, or contact Saheli for more information. The following tutorials assume a higher comfort level with computers than the tutorials in the section above. They either focus on specific applications (like Microcenter in-store clinics) or the deliver the tutorials in a more advanced manner (see the Digital Media Academy). With focus on Adult education, Arlington Community Education offers a wide breadth of topics. The computer topics aren’t extensive but they cover the old stand-bys like Word and Excel. They also have a some web classes like blogging and Pinterest. Finally, there’s a Photoshop class. The classes are from 7-9 on a couple of nights during the week and they run for 3-6 weeks. The cost ranges from $85-$105. The Charles River Public Internet Center offers classes on such topics as Microsoft Windows, Microsoft Office, Adobe Photoshop, Adobe Dreamweaver, and QuickBooks account software. Classes run either 1 day from 9 am to 5 pm or a series of days from 6 pm to 8 pm. Most classes cost $120 with some introductory classes costing $50 and a couple of advanced classes reaching $200. Founded in 2002, The Digital Media Academy is a new kind of summer camp: a high-tech summer camp. Universities from around the country partner with the academy. Massachusetts’ partner is none other than Harvard University. They offer classes for kids and teens on such topics as Application and Web Development; Photography, Art and Design; and Programming and Robotics. Courses run a week or two over the summer. Prices range from just $700 to around $2000. The computer superstore not only has just about any type of computer component you could ever need, but it also holds a weekly clinic. It’s a pre-determined topic so if it’s not what you’re looking for, it’s of no use. But they tend to have a good idea of what the community wants. For instance, prior clinics included Office 2010 and Build Your Own Computer. Some clinics require pre-registration (in order to keep attendance manageable) but all clinics have the right price: free. Unsurprisingly, this store focuses on Microsoft products only. Additionally, those products on which training is offered are the latest ones. For example, you can get Windows 8 training, but not Windows 7. The selection isn’t very varied either. That said, it’s only an hour of your time and will cost you nothing. Microsoft products can be, at times, troublesomely temperamental and who better to lend a hand than folks that work for the company? With thirty years experience, New Horizons has got computer learning down pat. They have locations all over the globe and they provide training to corporations and individuals alike. They offer everything from simple skills-building application training to bootcamp training that’s geared towards preparing people for certification exams. The formats can be traditional classroom learning or an asynchronous online class in their lab. The pricing, as to be expected, can get into the thousands of dollars. They do, however, offer free webinars that touch upon such topics as an introduction to Microsoft Office 2013. Virtual training is training done online, usually in the comfort of your home, thus making the commute to class unbeatable. The majority of the items below are self-paced video tutorials. You can pause, fast-forward, or rewind any part you wish. However, that means you don’t have an instructor to question, which does limit the usefulness to some degree. Since it’s always wise to start at the beginning, let’s begin this virtual training with some computer basics. Those savvy trainers over at the Goodwill Community Foundation put together “GCF LearnFree.org”. On this site, you’ll find such training as computer basics, internet basics, and even a mouse tutorial. It also includes MAC and Microsoft training which, technically, could go under the intermediate section below. But the way in which the material is presented is a cinch to use. It breaks down the tutorials into section and those sections are modular. Which means the user is presented with only the material pertinent to that section. In addition the modules are chock full of easy-to-understand graphics and even some short animations. Even as the material gets more in-depth, the presentation manner makes it very easy to follow. This site features a series of easy to understand free online classes. They cover everything from the basics of how to use a mouse, keyboard, and websites navigation, to the more advanced such as how to set up an email, how to search for jobs online, and how to use cloud storage. There are even classes on how to use both PCs and Macs. The classes are presented as interactive videos where you will be asked to perform the tasks being taught to you right in the video screen. Each class shows how long the videos are and you can stop or take a break at any time. Most of the classes have supplemental materials which are similar to the instruction you receive in the videos. These can also be downloaded and printed out if you prefer to view the information on paper. The following tutorials assume a higher comfort level with computers than the tutorials in the section above. They either focus on specific applications (like the Google tutorials) or the deliver the tutorials in a more advanced manner (see the MOOC tutorials). Most of the training I found for Apple was a bit pricey. So when I came across Louisiana State’s “Grok” Knowledge Base I had to include it. And not just because it gives a nod to one of my favorite books, “A Stranger in a Strange Land”. This page deserves recognition for it’s providing links to tutorials on the difference between MAC (aka Apple) and Windows operating systems. So much of the world is Windows-centric that posting these links along side Mac basics and Mac application tutorials, provides a foothold for those folks wishing to climb on-board the Mac bandwagon. I am, admittedly, not too familiar with Apple, so if you know of better training sites, please let me know. This site is brought to you by the fine folks at the Arlington Public Schools. It contains a series of links to different aspects of the things that Google offers, such as GMail, Google Forms, and Google Sites. The majority of the links are to YouTube videos. It’s geared towards educators but most of the links have value no matter who you are. On this site you’ll find training material for most Microsoft Office products. The focus is, naturally, on the newest version of office but you can find tutorials for Office 2010 and 2007 as well. You’re required to download the videos as opposed to being linked to a streaming video directly on a web page. Additionally, Microsoft offers 15-minute webinars* every Tuesday at 11:15 am. By clicking the “contact us” option on the bottom left of the screen (it’s tiny grey font and very easy to miss) you can appeal to the user community by posting a question to that application’s message board. *A webinar is a live meeting where you use a piece of software to connect to a person’s computer to see him or her demonstrate something. It’s complete with video and audio. A MOOC is the latest trend in education and is not limited to just computer topics. It is usually a class put together by a college professor and then put online for free, for anyone to take. Most often it consists of a series of videos and/or presentations. There are also homework assignments and tests to take. You normally meet once a week for a number of weeks. Think about all the things you have to do when you take a traditional class and replace a commute to a classroom with a commute to your computer. The MOOC method of teaching is still very much under construction. If you’ve got a hankering to learn Microsoft technologies a little more advanced than Office, this page has got you covered. You can browser such topics as C#, HTML5, and Managing Desktops and Devices or such products as Windows, Visual Studio, or SQL Server. The offerings are specifically geared towards certification exams, so you can use the site as either personal enrichment or professional development. Most offerings are broken down into modules which feature videos by Microsoft experts. They bundle all the modules on each topic or product together. That way you can spend a day learning about the technology or you can do one a day and it’ll keep track of your progress. The tutorials require you download files and in some cases, software, to complete the lessons. The languages you can learn are Visual Basic .Net, C# .Net, Java, PHP, and HTML (web design). The lessons include step-by-step instructions on activities and are presented in text and images only, no videos. You can also test your knowledge and take one of the exams offered. However, since the site is based in the UK and not well known in the States, do not expect the certificate to carry much weight in a job search. This last site has a little bit of everything. From intro to computers to the old faithful of Office. It even has tips on how to get better results from your online searching. Tony Holowitz has been teaching computers for over twelve years and he’s pretty dang good at what he does. He also knows when to step aside and let others do the training. He has a few videos posted from guest trainers to cover such technologies as Photoshop. While he doesn’t do in person training any more, he’s regularly updating his site with new training videos and proving there’s a plethora of good training out there for the taking. There has been a healthy increase in the number of organizations committed to bringing down the costs of Internet and Mobile phone service. A good place to scope out current options: cheapinternet.com. It’s a pretty comprehensive site with timely information about the latest programs and deals aimed at low income Americans. Connect2Compete is a program of EveryoneOn which provides affordable Internet service and devices to students and families that qualify for the National School Lunch Program. Eligible customers receive fast, affordable Internet for as low as $9.95 per month (plus tax). To qualify you must have at least one child eligible or enrolled in the National School Lunch Program, have not subscribed to Internet service within the last 90 days, and have no outstanding bills or unreturned equipment. This service is provided in Massachusetts by Comcast. EveryoneOn also has a knowledge center (http://www.everyoneon.org/knowledge-center) with information on topics such as how to connect with family and friends, discover ways to stay healthy, educate yourself, find a job, and save money. Internet Essentials provides high-speed Internet access for just $9.95 per month and a low cost computer for $149.99 (plus tax). To qualify you must have at least one child eligible or enrolled in the National School Lunch Program, have not subscribed to Internet service within the last 90 days, and have no outstanding bills or unreturned equipment. Sign up for Internet Essentials and then check to see if you qualify for the low cost computer. Internet Essentials is provided by Comcast and is available in Boston, Brockton, Cambridge, Dorchester, Fall River, Framingham, Haverhill, Lawrence, Lowell, Lynn, Malden, Medford, New Bedford, Quincy, Somerville, Springfield, and Waltham. FreedomPop Internet offers 1GB of data free per month for home users after you pay a one-time fee for the modem and router. Sign up online or contact a customer service representative. FreedomPop also provides free and low cost cellular service. For $19.99 per month users get unlimited talk, text, and 1GB of data with no lengthy contracts. In addition, there is a free monthly service for people who prefer smaller plans.